Your wedding. The day you’ve been waiting for all of your life. The day that your friends and family will gather together to celebrate your love. Why not host a weekend unlike anything else you or they have come to expect? Below, we’re sharing five benefits of planning a destination wedding that you might not have considered. (Spoiler alert: you’ll want to jump on board after reading this). Planning a destination wedding is a piece of (really good wedding) cake. Since everything is centralized in one location, you’re working with one team, one caterer, one central space (often with a handful of venues to choose from) and one master bill. Not only will you be able to stick with your budget, your time will be better spent without needing to explain your vision to countless vendors. When you plan a destination wedding, the on-site team ensures everything is perfect, from the moment you arrive. That means your rehearsal dinner, wedding ceremony, reception and farewell brunch, are woven together seamlessly. 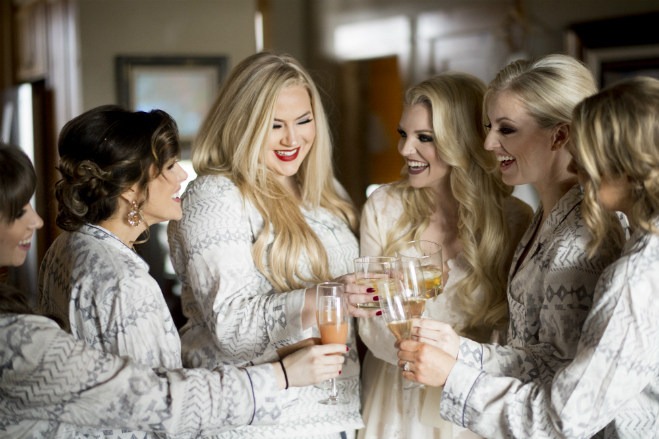 What’s better than being surrounded by friends and family to celebrate your wedding weekend? Gathering together in one place. Destination weddings require attendees to travel a little or a lot, and stay a while. It becomes not just a day, but a weekend gathering. 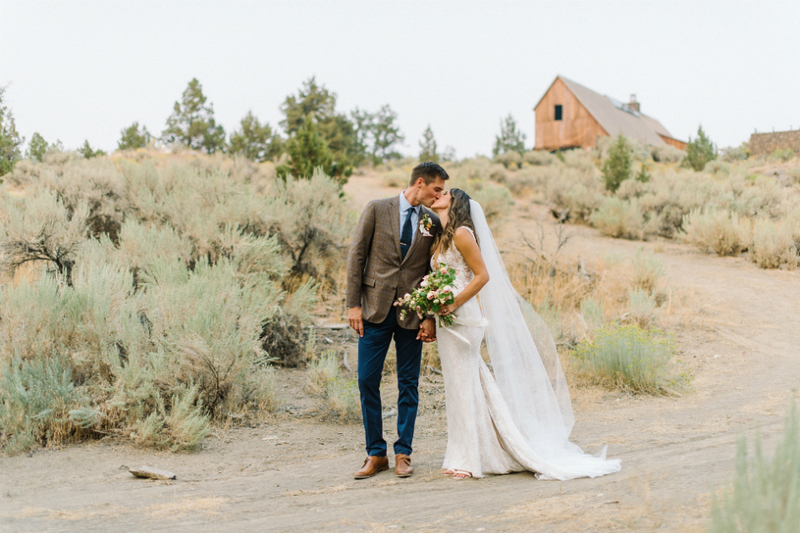 Wedding guests love renting our luxurious cabins, complete with living rooms, kitchens, fireplaces and hot tubs, creating a cozy, neighborhood feel. If only your neighborhood was filled with all of your favorite people in real life, right? All of your guests will get settled into the perfect setting for your celebration of love. We’ve all been to gala-style weddings with too many people and not enough time. The bride and groom’s focus becomes working the tables instead of enjoying their special day. With a destination wedding, an entire itinerary can be planned around your wedding weekend. 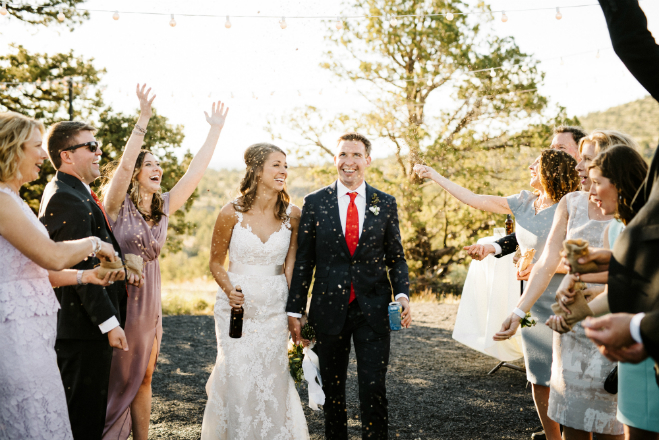 So, whether you invite guests to arrive Thursday evening and plan for a day of beer tasting, river floating, horseback riding or hiking, you’ll create memories above and beyond the wedding reception. And when it’s finally time to say “I do” you’ll already have a host of memories from the start of your weekend. We don’t have to tell you that planning a destination wedding tends to create a more intimate crowd – with your closest friends and family making every effort to attend – so you’ll be surrounded by the people who matter most. 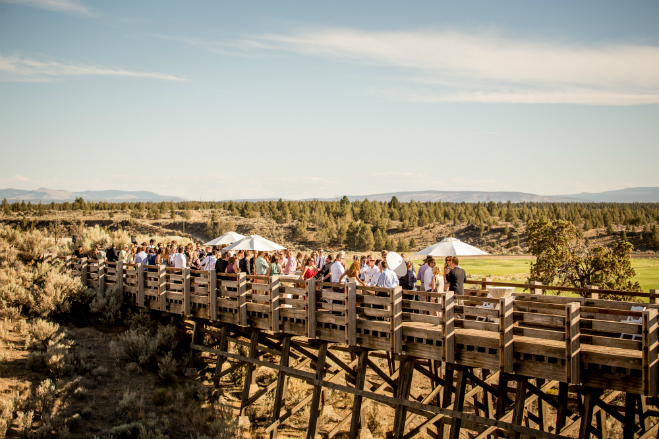 A late-night whisky and s’mores bar, a rehearsal dinner on a private bridge overlooking the high desert, a Sunday brunch accessible by horseback? Yes, please. When it comes to planning your destination wedding, our resort will pull out all the stops to ensure each event throughout your weekend is truly memorable. Our dedicated, on-site team will bring your vision to life. As the main event of the weekend, you’ll feel as if the resort is entirely yours – with managers and staff greeting you by name. It’s important to know that in the excitement of the wedding festivities, your wedding guests are having a good time. 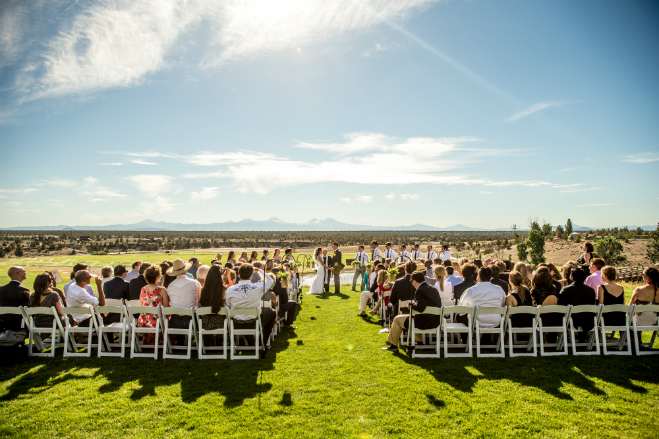 Planning a destination wedding allows you to ensure that guests are having the experience you’ve imagined for them – from the moment they set foot on property. Sweep them away to a luxurious, yet comfortable resort for an experience that adds another layer to your wedding weekend. Plus, it takes the pressure off the bride and groom because guests have built-in entertainment, relaxation and experiences to choose from in their free time (should you decide to arrange a wedding weekend itinerary – even better). Traveling for destination weddings can be tough, but you can set your guests up for an experience they’ll be talking about for years to come. These are just a few of the reasons that make a destination wedding an experience unlike any other. 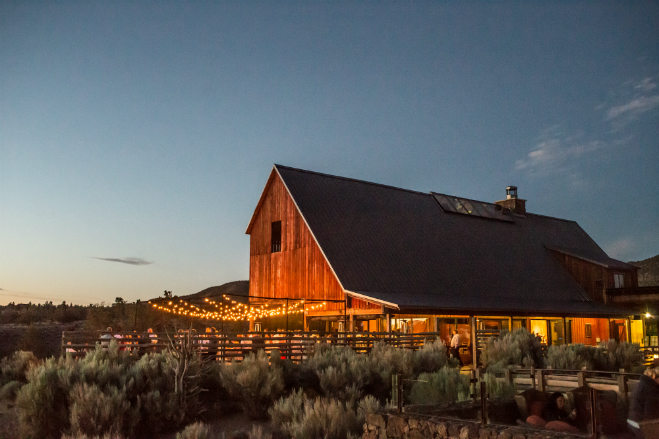 At Brasada Ranch, we’d love to work with you to craft your one-of-a-kind destination wedding weekend, saving you stress, providing you a cozy gathering place, planning a weekend full of celebrations of love (and adventure), and ensuring your guests have an experience they’ll be talking about for years to come. Connect with us today to start planning your destination wedding.